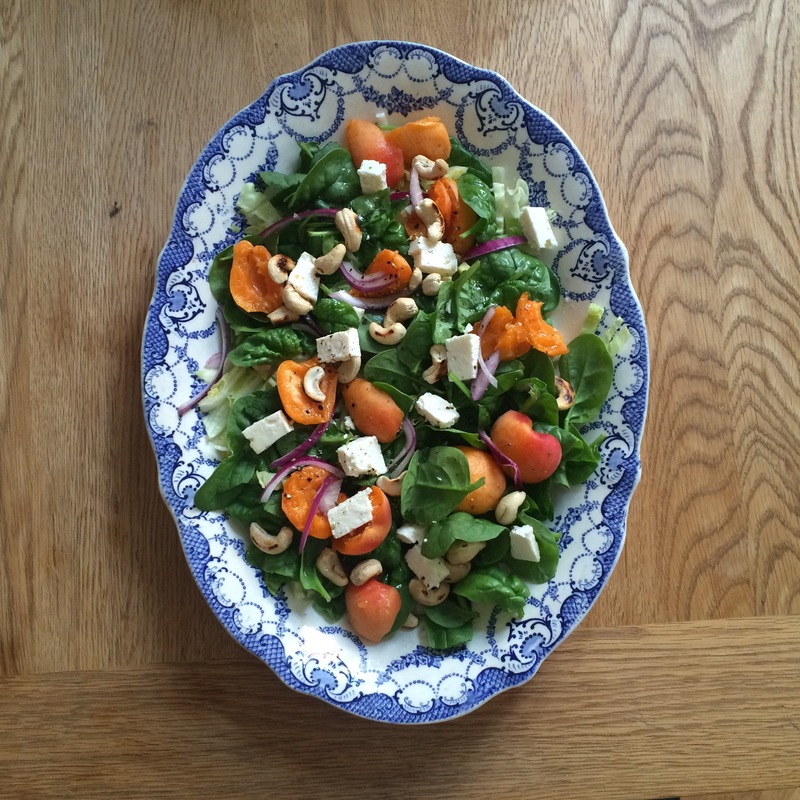 I made this salad last night for supper when I had some apricots in need of using up. It was delicious so I thought I would share it with you. 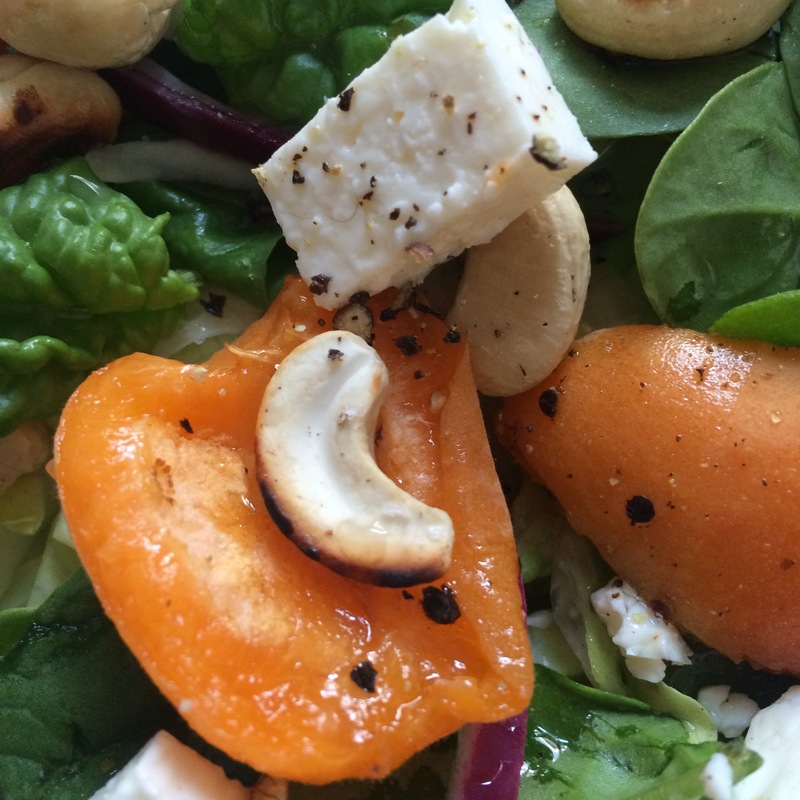 The sweetness of the apricots with the saltiness of the feta cheese worked really well. 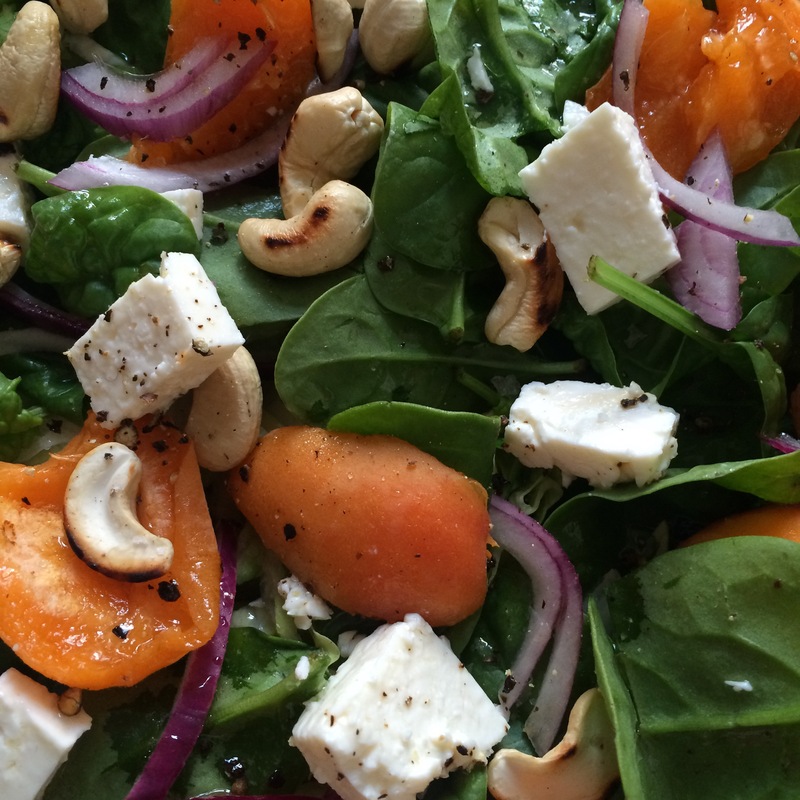 Place the spinach on your serving platter and then scatter your torn apricots, finely sliced red onion and feta cheese over the top. Toast your cashew nuts in a small pan on the stove top. Watch them carefully as they are likely to burn. Sprinkle the toasted nuts over the other ingredients on your serving platter. Season with your salt and pepper. As much or as little as you like. I use more black pepper than salt as the feta cheese is naturally salty. Drizzle your dish with olive oil and white wine vinegar and hey presto! You have a delicious salad. Have it as a side dish to fish or meat or as a light lunch with some freshly baked bread if you desire! Yummy!